GREAT FALLS, Mont. (AP) — While living among grizzly bears might be new for residents of the prairie, cohabitation with these massive carnivores is just part of life in northwestern Montana. 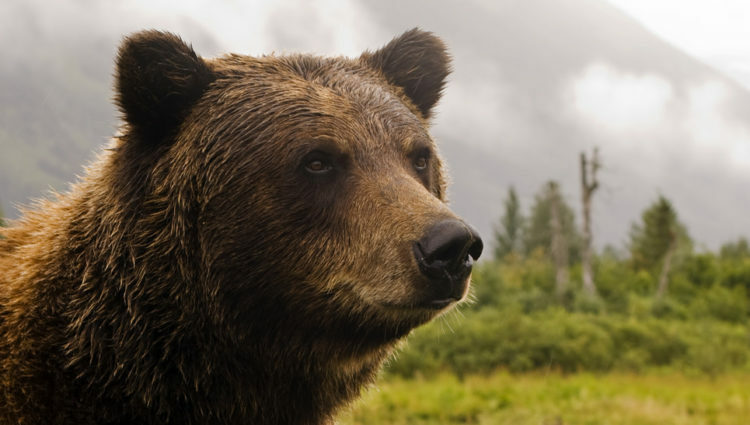 Montana Fish, Wildlife and Parks’ Region 1 is in the northwestern corner of the state and encompasses part of the Northern Continental Divide Ecosystem and its estimated population of more than 1,000 grizzlies as well as the Cabinet-Yaak Ecosystem and its population of 50-55 grizzlies. Residents there are no strangers to bears, and years of education and training have created bear-aware communities. Though each region presents a different set of challenges for bear management, Region 1 offers years of experience that central Montana can look to as prairie grizzlies become the new normal. The landscape of Region 1 and its headquarters in Kalispell is both mountainous and flat. Grizzlies in this area come down from the mountains in the spring after denning to look for food during the early spring bloom of the area. When the high-elevation snow melts, the mountains green up and berries start to pop, the bears head back. Region 1 doesn’t have near the number of livestock producers as central Montana, but it does still deal with bears getting into chicken coops, rummaging through garbage, scavenging for fruit from fruit trees and picking through other unsecured attractants. The Flathead Indian Reservation and its sprawling cornfields offer grizzlies similar conditions to what they’re finding from agricultural producers in central Montana. Anderson said they have been working with the tribes to find ways to keep grizzlies from snacking on corn. No matter where they are located, bears are opportunistic and key into easy food sources. What makes Region 1 strong in terms of its bear management practices is its longstanding education and prevention program. “They’ve been doing that now for so many years that it has built up a level of awareness and education among residents that if they hadn’t been doing that, I think we would be seeing more problems nowadays,” said Region 1 information and education program manager Dillon Tabish. FWP officials in central Montana’s Region 4 have been proactive in preparing prairie communities for the presence of grizzlies. Last year, FWP bear management specialist Wesley Sarmento was stationed in Conrad to oversee the area east of U.S. Highway 89 from the Canadian border, south to Fairfield and Simms, and as far east as Stanford. Sarmento’s job is to handle bear conflicts as much as it is to promote conflict prevention and education to the public. But that’s something Region 1, out of necessity, has been doing for years. FWP’s educational programs help communities stay involved in management and the expansion of grizzly populations. Region 1 hosts “bear fairs,” bear spray demonstrations and community meetings to keep bear safety at the forefront of people’s minds. Not everyone is on board with the nuances of living in bear country, even in Region 1. Anderson and Tabish said there are some people they have to work to convince to secure their attractants and others they have to convince that a bear needs to be relocated. Some residents like knowing there is a bear in the area and prefer to have it around so they can take pictures and leave it in peace. However, this can be as dangerous as having open food sources available to bears. It’s never a good idea to habituate bears to humans and human spaces. As bears continue to move further into the prairie and remake their home in their historical territory, Anderson said it’s up to both the agencies and the residents to prevent conflicts.